I have a confession to make…I am absolutely fascinated by tattoos. I think they are so beautiful (well most of them…some are downright scary). If you asked my kids, they would probably tell you that I am totally against them. It’s not that at all. I’ve just always told them if they are going to get one to be smart about where it is on their body…and to make sure they will still like it when they are 80 (smile). I really appreciate the artistic expression of a tattoo. I envy the talent and confidence it takes to draw something permanently onto someone’s skin. I’m sure there are times in public that people think I’m a total creeper for staring at their tattoos. I’m just fascinated about the story behind them. One of these days I’ll get up the nerve to ask someone. Every once in awhile I will catch one of the reality TV shows that have competitions for tattoo artists. It is just amazing to me. As much as I appreciate tattoos, I personally do not have any. I’ve never come across a design that I like enough to put on my skin forever (that I would still like when I’m 80). I think if you are a believer you can agree that we all sin. Many of our sins are private…no one knows about them (except for God of course). But if you are gay, and you come out, that is something that is very visible. Something that the church calls sin. I feel, however, that most believers (I know not all of them) treat the person themselves as sin. Someone to be totally avoided. And because of that, many gay people go to great lengths to keep their true selves hidden. It is a terrible way to live. This brings me to my point…and the point of this blog. My son is gay. I would like to share my journey that began six years ago when I learned this about him. I know for “church people” this is a controversial subject, but I invite you into my story to share with you what I’ve learned along the way. There is another reality show on TV about tattoos that is my favorite. 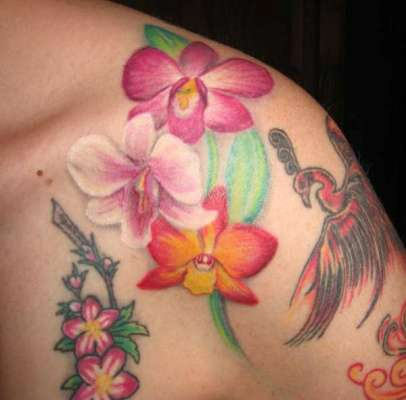 The artists help people who have the most embarrassing, ugliest tattoos and transform them into beautiful works of art. It is truly amazing what they are able to accomplish. When they are finished, it’s like the old tattoo never even existed. As believers, we have someone who does that for us too…Jesus. He takes His blood, covers our ugliness, and transforms us into new beings. Forgiven…the old is gone. Why…because He loves us…even gay people. And…love matters. ← So I have a blog…now what? I really like this analogy and the way you tied it all together. You painted a picture of what this all looks like. I plan to apologize to me friends who are gay. I haven’t been mean or anything but in what I thought was sharing the gospel was actually judgement disguised. 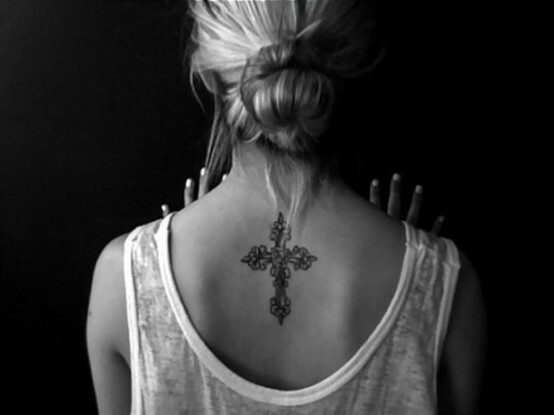 Wow, if my sins were tatooed on me. Thank you for your courage and listening to God’s voice. Imagine how many hearts can be changed. It’s certainly changed me. Thank you so much for your words. Your response is exactly why I’m putting my story out there. Love the analogy. It is so easy to hide and cover up sins, not so fun if you have your own sins exposed for the world to see and then be judged for them or to have people decide what in you is sinful and then condemn you for it. WOW! Thank you for being real and honest. I know I would not want my sins tattooed on me and if they were, I wouldn’t want others to judge me for them. We all have flesh that we chose over the Spirit on a daily basis. God loves us unconditionally no matter what our sin is. Lesa, just started reading your blog. Awesome stories and great reflection. Thanks for sharing your life. Lesa, This was an incredibly thoughtful and beautiful expression. I hope you will continue to share. This is a topic that i care a lot about. Thank you so much. I appreciate your support :-). Anyone who knows Lesa knows she’s for real, kind, honest, a true fried and simply amazing. I’m so proud to call her a wonderful friend. Great blog ….. I’ve loved you since the minute I met you …. and without God we are nothing…….. and love does matters ! Thank you Kathy. You are one of a kind…in a good way 🙂 and a great friend. I miss you and I love you to life.